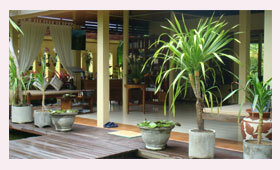 - 4 double massage rooms with wide baths and rice field view. - 2 double massage rooms with wide baths and garden view. - 2 single massage rooms with sunken baths and garden view. - 1 facial treatment room with garden view. 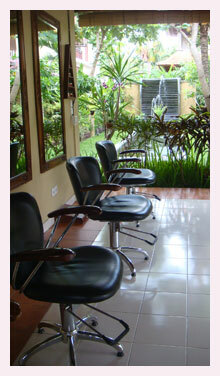 - 1 hair and beauty salon with rice field view and garden view. We can accommodate up to 14 people at once for spa treatments in addition to other treatment.